My best friend was in town last week and we went to see the movie The Internship (You know, with Vince Vaughn and Owen Wilson? 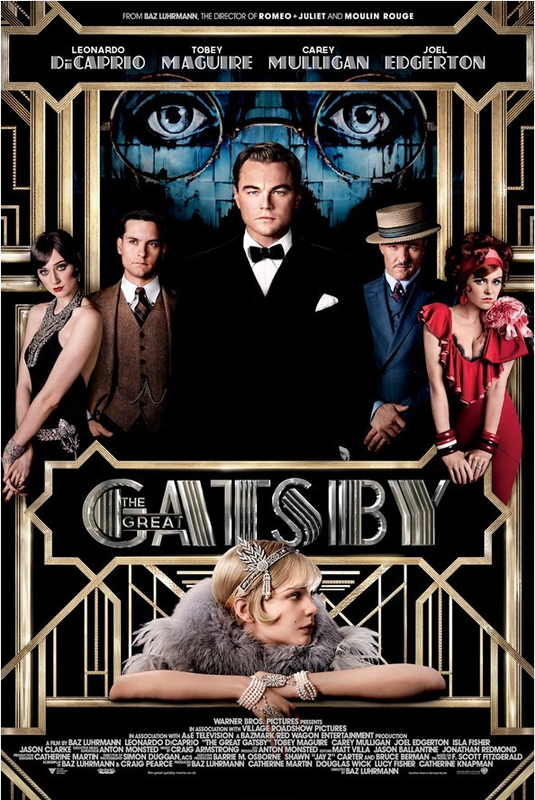 )… if you’ve seen it, then you know it’s all about Google! Seeing the movie got me thinking about Google and all the things they do… including the little thing they call Google Doodles. Maybe you’ve heard of them! Anyway, I did a little research and found out some interesting tidbits about how they got started and how they have evolved over the years. How did the idea of the doodles come about? In 1998, before Google was even incorporated, founders Larry and Sergey started playing with the corporate logo to show that they were “out of the office” and at the Burning Man Festival. They added a small figure (the Burning Man) behind one of the o’s and posted it as a comical message to users. Two years later, in 2000, Larry and Sergey asked Dennis Hwang, then an intern, to create a doodle for Bastille Day. The doodle was so well received by users that Google decided to run with the idea and create doodles for everything from familiar holidays to a wide range of events and anniversaries around the world. In the beginning, images were simply added to the Google logo. However, as the doodle has evolved, they have become more complex – sometimes making users search for the Google letters and some are even animated. Google has a team of illustrators (called doodlers) and engineers that think up and bring each doodle to life. How many doodles have been created? 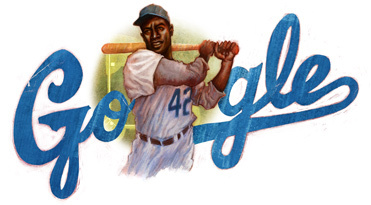 There have been over 1000 doodles posted on Google’s homepages around the world. 1) Create a trailer to attract new visitors and showcase your company- the trailer sits at the top of the channel page and runs for approximately 30 seconds. It can be programmed to play exclusively for new viewers to encourage them to hit the red subscribe button. 2) Design a new banner for consistency across platforms – the banner feature allows for a cohesive brand look on mobile, tablets, television and computers. To support consistency, you should create a header graphic at 2560 x 1440 pixels that will automatically adjust to fit different screen sizes. 3) Create customized playlists to connect with followers – YouTube now features three types of curated playlists that include related channels, interest lists and content playlists of your videos. These lists offer your brand more control by providing you with the ability to select and arrange the content you want to highlight to channel visitors. Using the channel lists function can help reinforce your brand message and connect users to content they’ll enjoy. Everyone has heard of it, many people have been a part of it… it’s cyber bullying. With the monumental role technology is playing in our lives nowdays, cyber bullying has become a problem in our nation and around the world. This year, SecurityPoint Media decided to focus on the topic of cyber bullying for their 2013 Champion a Cause Creative Challenge. Champion a Cause is a competition put on each year by SecurityPoint Media and AAF. Each year, a topic is chosen in hopes of bringing a clear voice to an important and underserved cause and to bring awareness in the form of security bin advertising in airports. Winners have been chosen for this year’s competition and because they were so impactful, I wanted to share them with you! 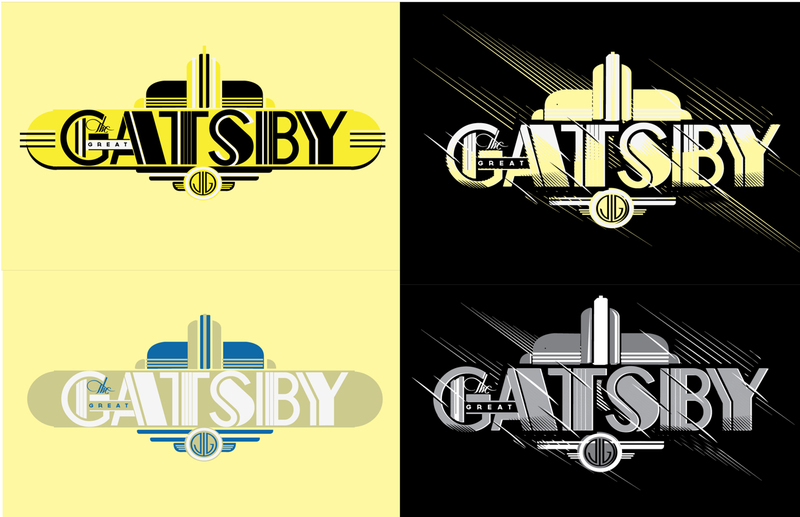 Please feel free to share your thoughts and which one is your favorite! CLICK HERE to view video of winners! As a Media Director, I get to interact with a lot with sales people. I have found that the most successful sales people have a skill called “emotional intelligence” ~ they can key into their own emotions and others. If you lack this skill, you are probably making the following mistakes resulting in a lack of sales. 1) Failure to make an emotional connection – People buy from people they like and we like people in direct proportion to how they make us feel. Go out of your way to match a customer’s needs and they’ll keep coming back. 3) You lack self-awareness – determine what your sales style is so you can understand what works and what doesn’t work. Are you an Aggressor? A Storyteller? Socializer? 4) Unable to adapt – you need to have the flexibility to handle change and be open to new ideas in order to increase your opportunities to sell. 5) You are not authentic – throw away the scripted sales pitch, we know it’s a script. Instead prepare for your meetings by doing a little research on your potential customer and speak from the heart about what you can do and what you can offer. 6) You lack humility – it is always a smart thing to show respect for the client’s position and recognize their knowledge. Humbleness requires us to know our triggers and to know how to manage our emotions. 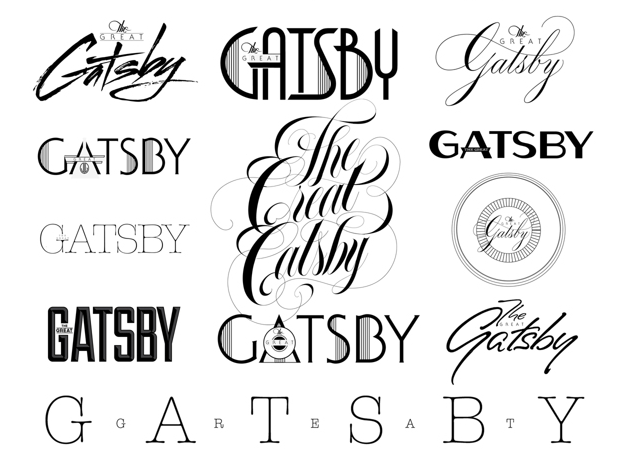 I’ve heard about the movie and have even awed over the intense previews, but I never stopped to think about the creativity behind The Great Gatsby typography. Until that is, I found a case study from its creator online… then I was intrigued! 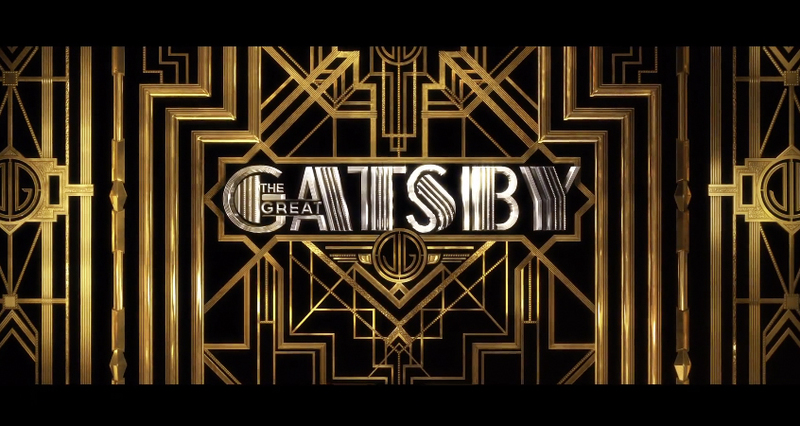 In addition to designing the logo for the movie, the Like Minded Studio team created an entire display typeface that went along with their design. 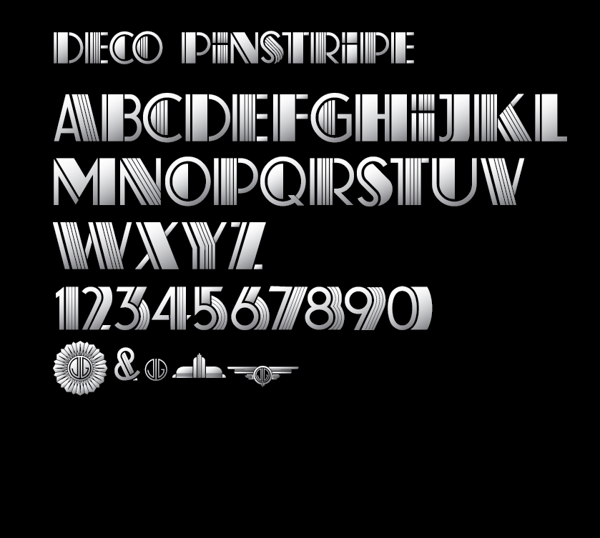 They even went as far as creating a system so that letters alternate between striped and solid when typed in words. 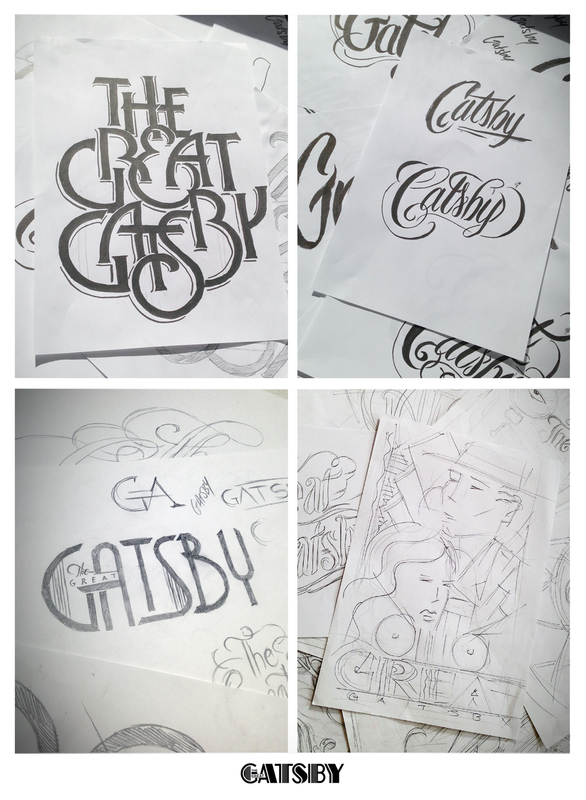 Below are some of the creative team’s first ideas that eventually helped develop the amazing typeface that is The Great Gatsby logo. I enjoy and find it inspiring to see the creative process of other designers… especially when the outcome is as impressive as this one. 1) Keep is short – research shows that subject lines with 10 characters or less have higher open rates (over 51%). If this amount is too small, try to limit your character count to no more than 40. 2) Call to Action – encourage your recipients to act now by including a deadline (40% off this Friday only). This tactic encourages people to open the message immediately instead of sitting unopened. A discount or special offer always gets attention. 3) Be precise – explain exactly what your message is about (save 30% off your electric bill) and make sure it matches what is in the body of the message or you will irritate the recipient and they will quickly unsubscribe from your list. 4) Use a number – when people see a number, such as “3 ways to save on insurance” they want to open the message and see what the 3 ways are to save. Using numerals instead of spelling the numbers out also help cut down on the total charter count. See item #1. 5) Personalize – No that doesn’t mean sticking a person’s name in the subject line. Instead try to segment your email list by purchase history or another qualifier then send out tailored messages to the smaller groups. “we just got in the new xxxx accessory product for your Smartphone”. I’m always looking for creative inspiration. It may sound cliche, but I’m always looking for that way to think “outside of the box,” to think of something in a different way. As I was scouring my brain (and the web) for interesting topics to blog about this week, I ran across these amazing images that did just that! I’m honestly not sure if this is a specific type of design or just someone having fun, but I love the way that this artist took typography to a whole new level. 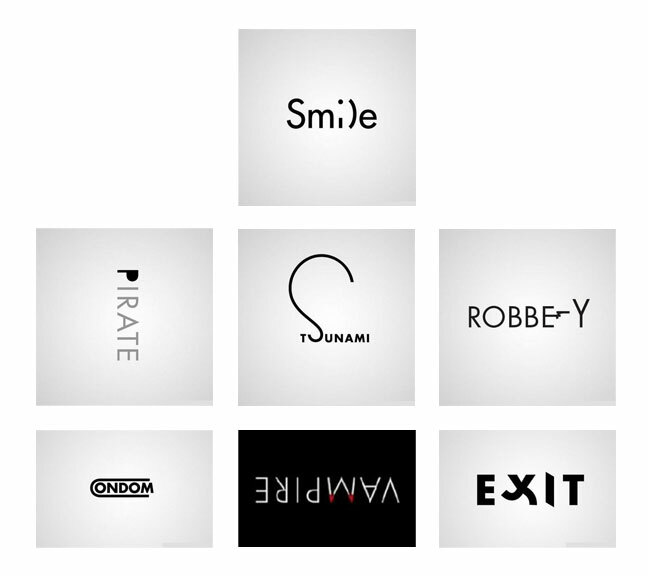 In each one of these designs, the artist used the word as the inspiration and illustrated it through typography. Enjoy! It’s no surprise that the most successful companies are engaged in proactive customer service. Offering great customer service leads to repeat business and brand loyalty. Here are a few tips to keep in mind for your business. This is a no-brainer but few people take the time to build personal relationships with their customers. Communicate and listen to your customers whether it be in-person, by phone or via email to make them feel like they are dealing with a real person. Reach out to your customers on a regular basis. Customers appreciate it when you take a minute to check on an item they’ve asked for or need help with. This step lets them know they’re being listened to and cared for. Average service is about meeting the customer’s expectations. Great customer service is exceeding it and it is the little things that count. Send them handwritten thank-you notes, give them special offers on their birthday…by going the extra mile you set your company apart from the competition. Offer several solutions to your customer’s predicament. If one doesn’t work, make sure you have multiple avenues to resolve their problems. This way, the customer knows you are trying your best to help them, and in the future they will not hesitate to come back to you, since they’ll know whatever problem they have, you’ll do your best to fix it.